The below pictures are just a start. I took these recently and have many more planned. 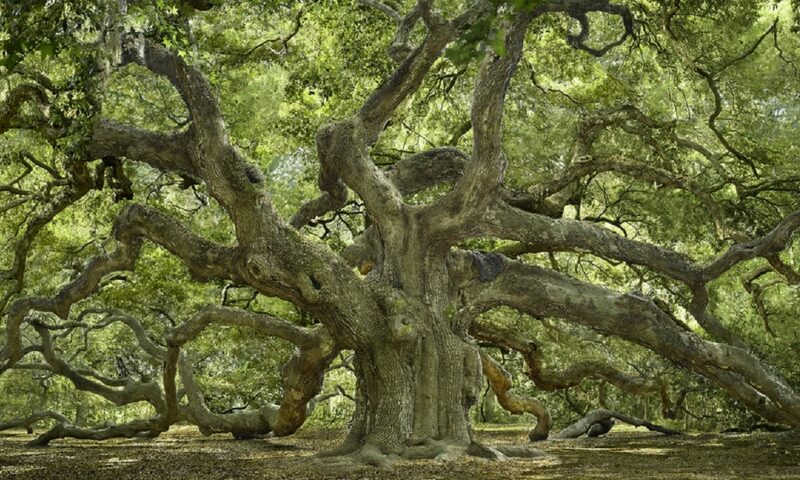 So far, all tree images are from Mount Pleasant and Charleston, South Carolina areas. I hope to add more from other locations such as Isle of Palms, Sullivan’s Island, Summerville, Goose Creek, etc. Well, that’s about it for now. 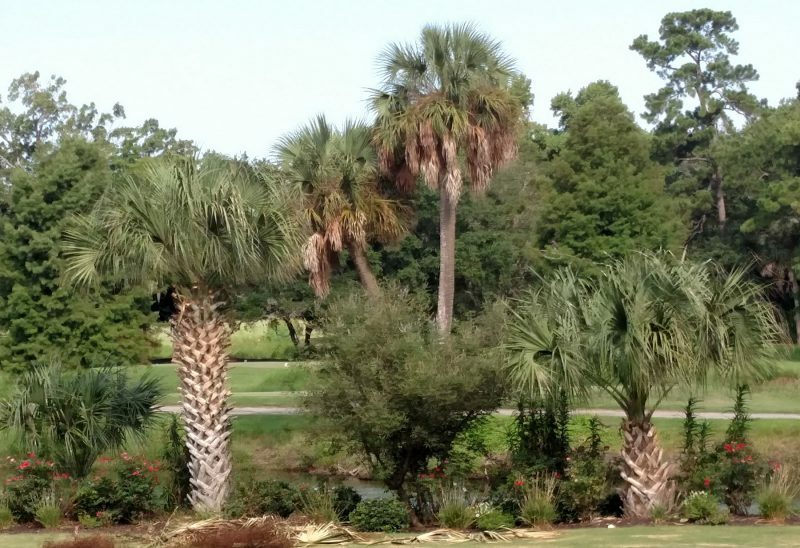 Some of these pictures we taken after being pointed out to me by my “tree guy” at Palmetto Tree Service. He’s been working in the area for well over a decade and has pretty much seen it all. 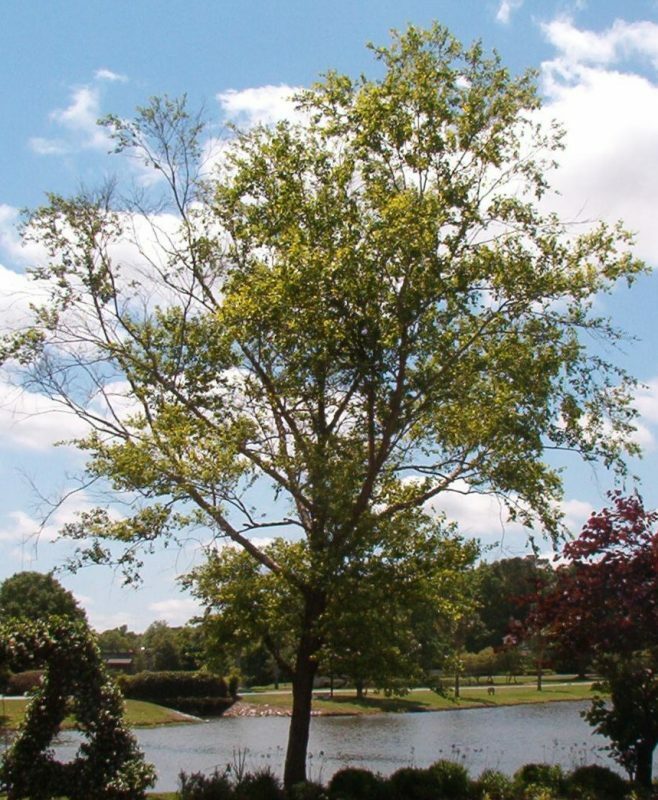 If you are looking for a skilled arborist, give him a call and check out how he can help beautify your trees. My mother has always said that I was born with a green thumb, and looking around me I can’t help but agree. My entire property is covered with lush plants. And while some of them shouldn’t grow very well in this climate, my tender care ensures that they flourish and prosper. Some of them are decorative and ornamental, some of them are good for food, and some of them have herbal medicinal purposes. My favorite one of all, however, is my lemon tree. I have always had a weakness for citrus trees of all kinds. When I was growing up in Florida, we had a grove of orange trees growing wild in the backyard of our property. We had some gorgeous land – former farmland gone fallow, but still quite fertile – but we never did anything with it. My parents preferred to let it do what it wanted until I was 15. It was then that I asked for a plot of my own to cultivate some plants. My parents agreed, and soon I had a great hobby. Until I grew my first lemon trees, however, I hadn’t realized my true passion. In addition to the yard, I like to keep a small one potted on my deck. Sometimes I glance out, see the lemon fruit and I start thinking about which recipe I will use it in. People do not realize how many neat and interesting things you can do with a lemon tree. It is definitely good for more than lemonade! Western cuisine often ignores many of the uses of citrus, but a lot of the best dishes are made much better by fresh lemon oil. You can cook Mediterranean grape leaves without adding lemon pepper, but they’re nowhere near as good. Similarly, a bit of lemon rind in your tea in the morning adds a refreshing and zesty tang to an otherwise bland cup. 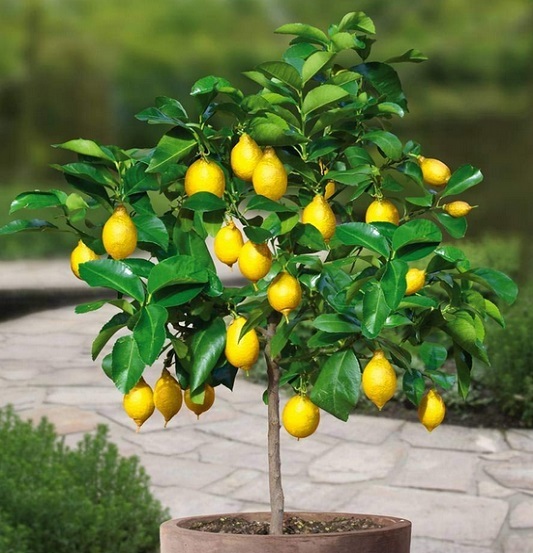 One of the best things about lemon tree plants is how easy they are to grow. Sprouting a new tree can be tough, but once you have it going, it basically takes care of itself. All you have to do is remember to weed the area around it from time to time and ensure that it has enough water. 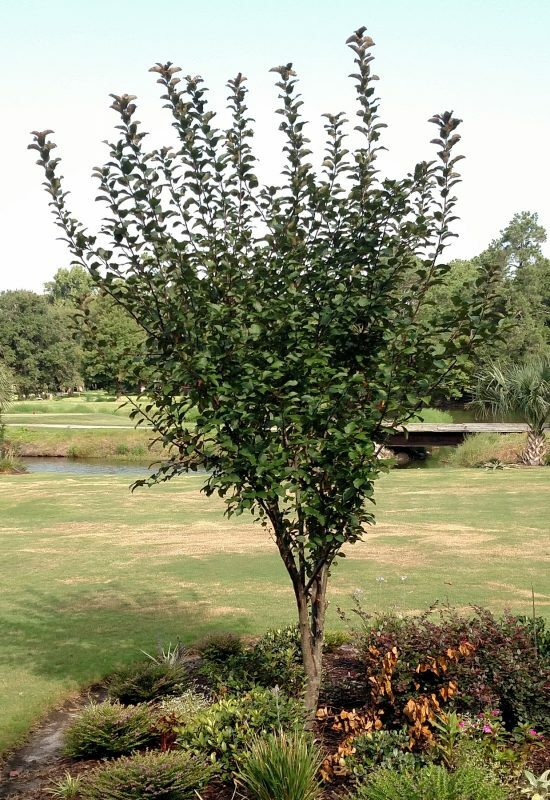 Fruit trees in general are great projects. Usually, they are hearty enough for beginners to care for, And the reward of growing one is obvious. 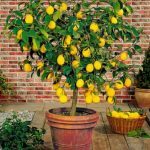 In just a couple years, your lemon tree will start to bloom with fresh citrus fruit all season long. You will have more lemons than you know what to do with! Best of all, you can give those lemons away as presents. No matter what the fruit, people love it if you grew yourself! Want to customize you grove and trees? Try grafting. 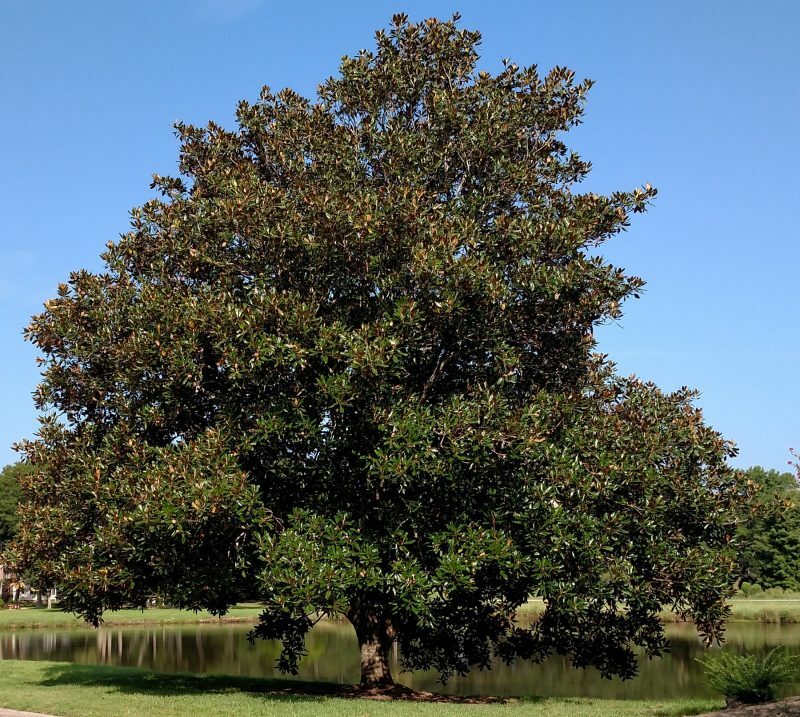 Being successful at plant and tree grafting comes down to three things – you need to know what kinds of plants make for compatible grafts, you need to follow procedure when you actually do the physical grafting, and finally, you need the right plant/tree grafting tools. Certainly, you could easily go about your grafting experiments with nothing more than a sharp knife and some Scotch tape or wire. You’ll need a good bit of skill to wield these simple tools successfully when it comes to tree grafting. If you’re just starting out, choosing a special grafting knife will make your job a lot easier while you are learning. Once you do have them, you could make lots of practice cuts with a discarded branch or something. But once you do make a nice, neat cut, it can be really important how you manage to do the actual grafting – joining two parts together so that they’ll really bond. Grafts don’t bond in a week; not any more than broken bones do when you put them in a plaster cast. Grafts need a full season. And you need to find a way to keep the graft strongly together for as long as that. 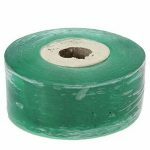 They actually sell special grafting tape that does a good job. You can also use wire for some structural strength. Once you’ve made the graft, it needs to be sealed – like an open wound needs to be sealed. You could use petroleum jelly or a special grafting wax. Picking the right time for your tree plant grafting activities can be important. You need to pick a time of the year, usually the winter, when the contributing plant is completely without activity. Try to pick a branch that’s no more than a year old or so. The donated branch is called the scion. Try to pick something with a few buds. While it would be nice if you could just go and graft your scion the right away, doing this in the winter would be a good idea. You need to wait until the plants are reviving in the spring to actually do a successful graft. Store the scion you just cut by packing it in plastic filled with sawdust. Make sure that you store it in a place that’s cool and humid. There are a number of different cuts that you can make to the receiving tree. A V-shaped cut, a whip cut that looks like a bolt of lightning – just anything, as long as you know how to make matching cuts on both ends. It’s just that when you bring the two parts together, make sure that bark meets bark. Tie everything together to be pretty strong, and you’ll be set. Before long, you should have a successful graft in place. In time, you will have given your grove of trees a customized look. Whether your back yard simply lacks good design, has too few or too many trees, is overgrown, or, in the case of a new home, is nonexistent, you can create the garden of your dreams with your own backyard landscaping plan. From beginning to end, this is a DIY project that anyone can do. Creating your own backyard landscaping plan is not only satisfying, but you’ll save some big bucks for your efforts. Let’s see how this works. Your first step is to get a soil test kit. Follow the instructions given with the kit to collect your samples and submit to a local soil testing lab for an analysis. The report you receive tells you the type of soil you have and what amendments you may need to add to correct the Ph, lighten the soil if you’ve got heavy clay, or add substance in the case of sandy soil. 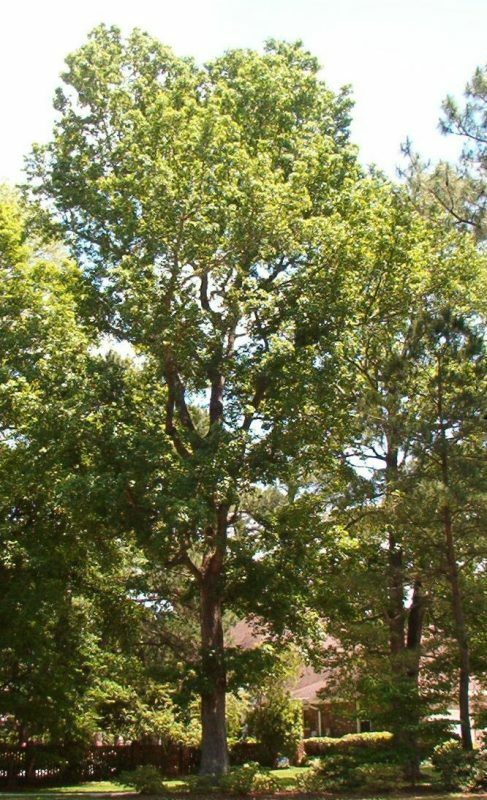 If you live in a forested or heavily treed area, you probably have acid soil. Acid soils are great for growing ferns, azaleas, rhododendrons and other acid loving plants. However, if you want to plant some veggies, you’ll want to add amendments that are veggie friendly to that portion of your garden. Now take a measuring tape out to the backyard. Take careful measurements, noting existing landscape features you intend to retain, such as trees, shrubs and planting boxes. Plot these measurements right up to the house, garage and other fixed features of your landscape. Take note of windows, sliding glass doors and other doors which lead to the garden. Using the grid feature of your software, transfer these dimensions to your computer. Now the fun begins! Your backyard landscaping plan is limited only by your imagination and the space available. 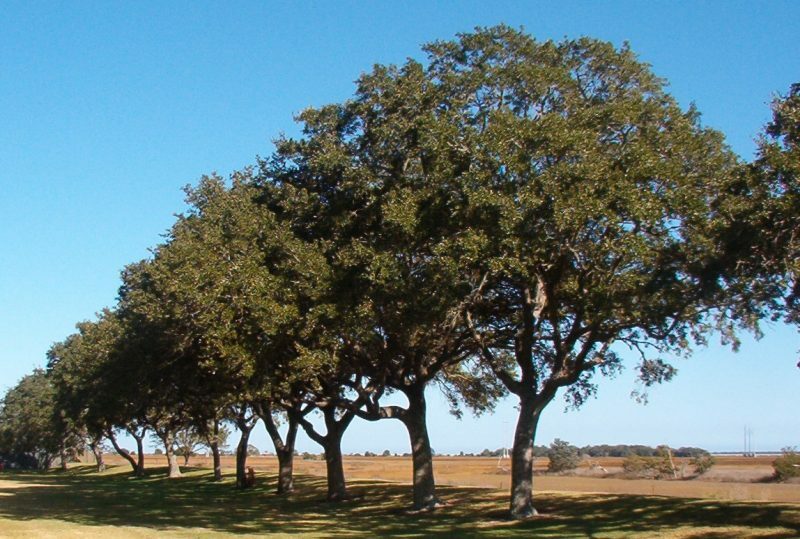 Take into account the future shade your new or existing trees will provide. What are the garden features you’d most like to have? Make a prioritized list. Perhaps growing some veggies is at the top of your list. 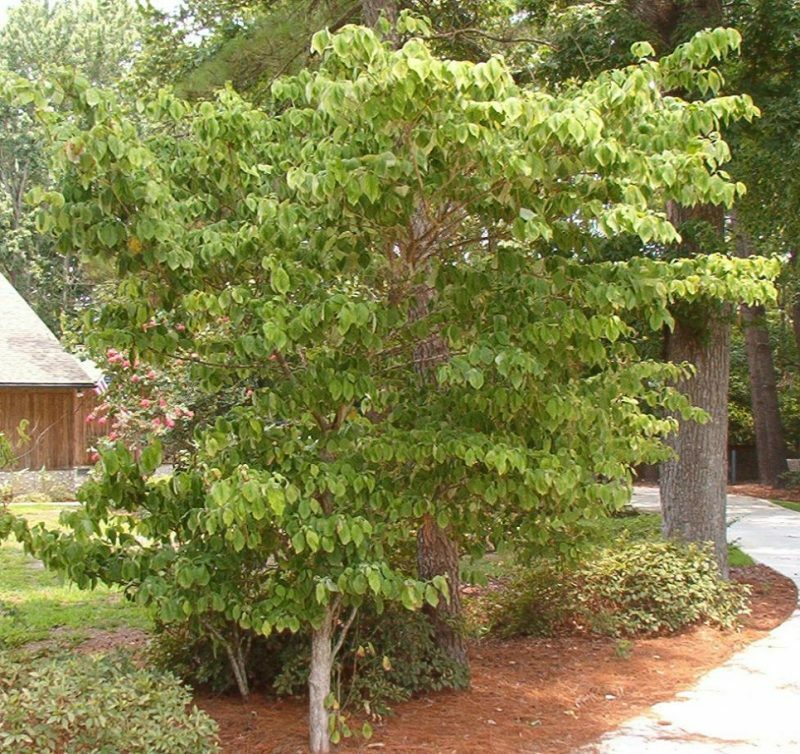 Will you plant new trees or prune trees for a new look? How about a cutting bed for fresh flowers? Do you crave a little peaceful spot to kick back in the shade during hot summer days? Are you a barbecue fan? With garden design software, it’s so easy to move these areas around, all without lifting a shovel or hauling a bag of compost. Try different arrangements. Pathways and lighting are important features you’ll want to give some thought to, before breaking ground. Don’t forget the mundane considerations, such as trashcans and storage sheds. 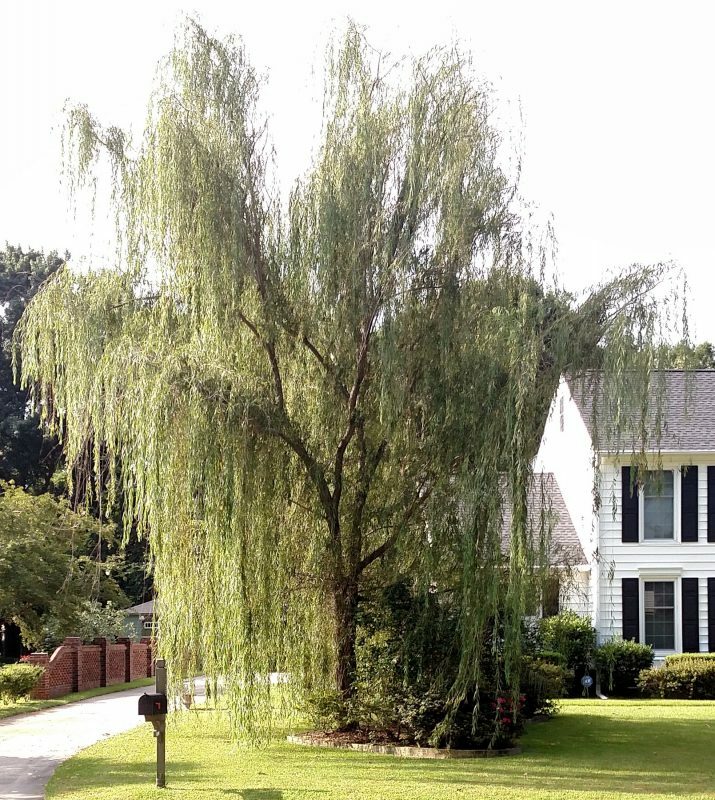 Play around with your backyard landscaping plan, until you have everything placed as conveniently and efficiently as possible while saving the tree you love. Let’s say you’ve got predominately heavy clay soil. You want to plant some veggies, install a patio or deck and a children’s play area. For a thriving veggie garden, raised beds may be your best bet. You’ll only need to improve the soil within the raised beds to satisfy your veggies. The area dedicated to a deck requires nothing more than posts to support the deck, with no amendments required to the soil. For a patio, you’ll need to add sand for a firm base. For the area allocated to the children’s play, add a base of sand, tilled into the soil, topped off with a heavy layer of sand to make a safe and happy landing off a swing or slide. Do you want it shaded by tree limbs and branches? The point is, you may find that you needn’t rototill the entire backyard to meet your needs. This saves you money, work and time. Areas which you wish to cultivate with flowers, trees, shrubs and veggies may require only relatively small amounts of expensive amendments. 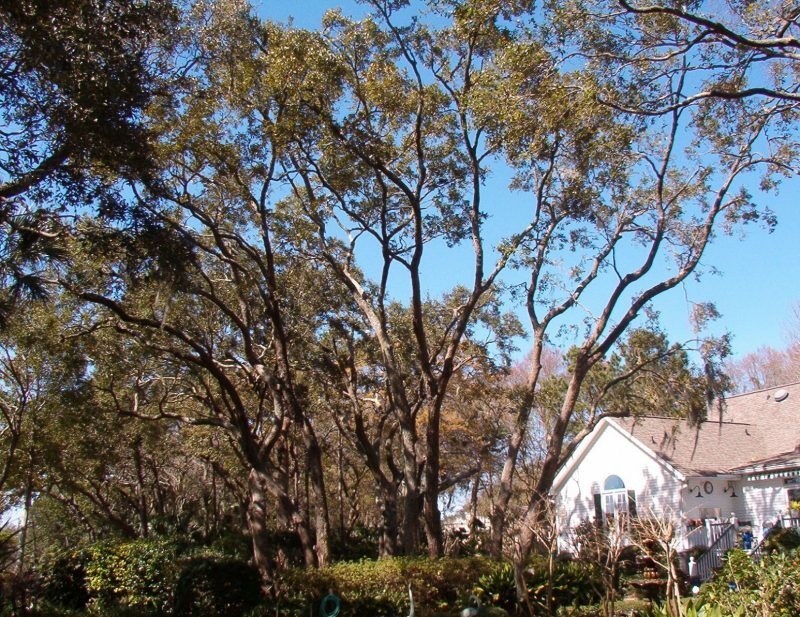 Working out your backyard landscaping plan for trees and plants on your computer can give you the garden of your dreams at a fraction of the price a landscape designer might charge for the very same result. When your dream backyard landscaping plan is perfect, get out the shovel, tiller and tools. Roll up your sleeves and get to work, one section at a time and realize your dreams on a shoestring! When looking for that extra level of refinement to your grove of trees, check into a vine look. 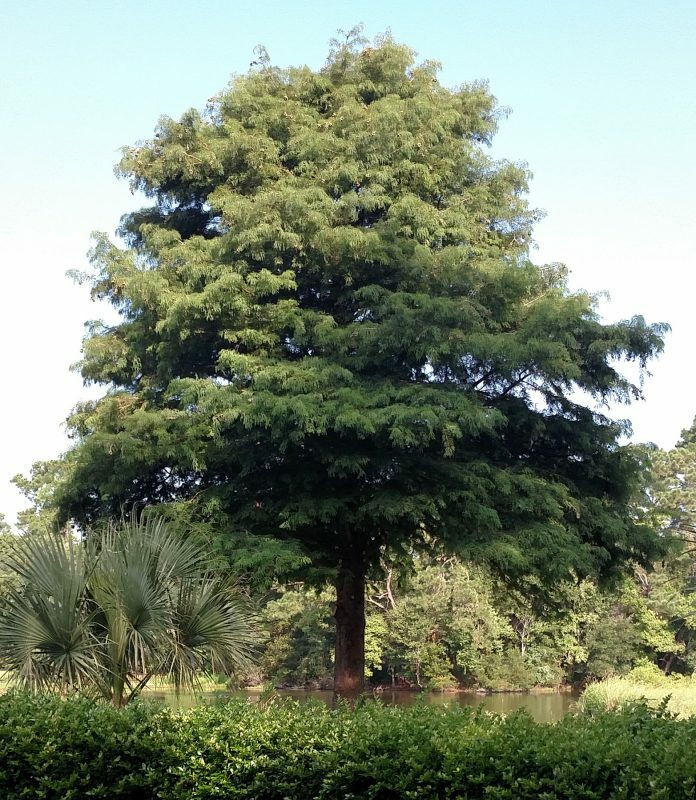 Each tree can be evaluated for improved look either next to it or hanging from low limbs. Gardeners are always looking for new plants to add to the scenery! No matter how many beds or trees you have planted, there’s always room for one more. Maybe you’re tired of that bed of marigolds you plant next to the kitchen every year. The rose bushes in front of the porch are lovely, but you want to build on the look. Sooner or later, the garden appears to be full. That’s when you can use climbing vines to grow upwards, adding a lush, flourishing dimension to your garden and existing trees. 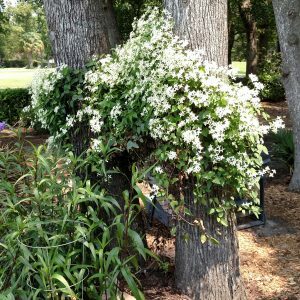 Here are some ideas on how to use climbing vines to add beauty, drama and functionality to your present garden/grove plan. 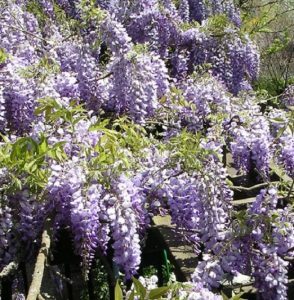 If you’re not sure of how a climbing vine will fill out a space, try an annual before going to the expense of a permanent, perennial garden climber. Let’s use the example of the porch graced with a bed of rose bushes. Your porch posts are perfect supports for a climbing vine. Try planting the easy-to-grow morning glory in clumps around each post. You can start them in peat pots early and plant them directly, pot and all, when they’re a few inches tall. Morning glories grow quickly and bloom prolifically. These climbing vines are easily trained up the posts and across the porch railing. By early July, you’ll have a bountiful display of flowers that simulates a similar perennial vine display. 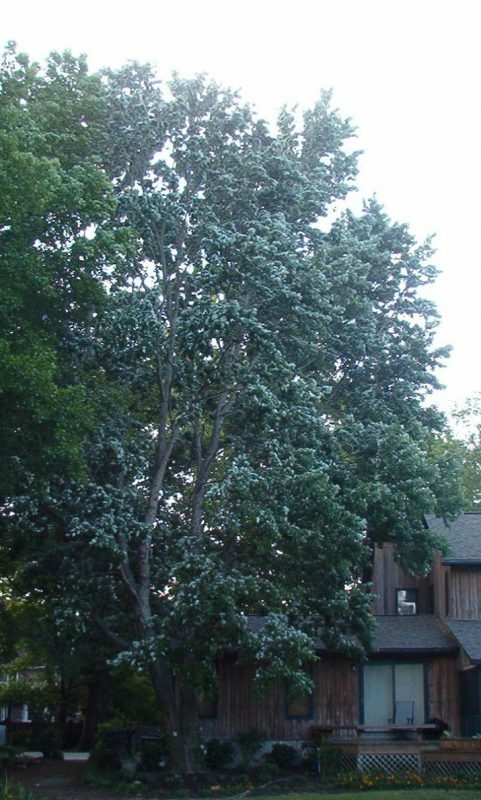 Evaluate each to see how it further accents your trees. You may decide you prefer the annual. While the shade the summer vine offers is welcome in summer, you may want to let the light shine in during winter. When the plant is spent in fall, you can tear it out. You can simply plant another annual come spring. On the other hand, if you like the dimension the climbing vine adds to this spot, there are perennial climbers that fill the bill. The white or purple passion vine, clematis, is an exotic and lovely companion for the roses. Consider also the climbing roses. There are varieties that bloom abundantly throughout the summer. Winter is the time to check your plant catalogs for permanent candidates for this spot. It also opens up your trees in the grove to check for fill. 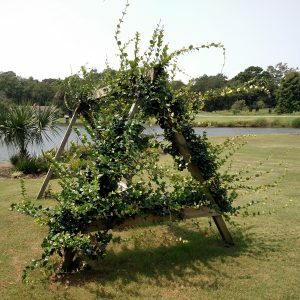 Gazebos are made prettier with the addition of climbing vines. Flowering vines, winding their way around the supports and trained along the roof line provide a romantic setting for a candlelight dinner party or a ‘Secret Garden’ effect for kids playing inside. Jasmine works well in this garden situation. 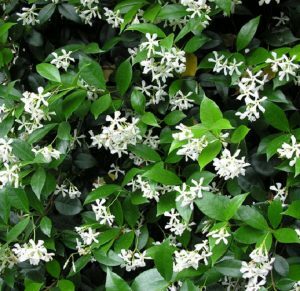 It’s evergreen and flowers profusely in summer, with a sweet perfume scent. Come early spring, fences and tree groves can look bleak. Sweet peas can be planted along a fence in late winter and be producing a thick and cheerful covering of multi-colored flowers by spring. Sweet peas are somewhat invasive climbing vines, perfect for covering a bare hillside area prone to erosion. Arbors, deck and carport covers are other places where climbing vines can enhance your garden plan. If you just look around your property, you’re sure to find a few places such as low tree limbs for the lovely climbing vines.